Why teaching high frequency words to beginning readers and writers is so important and how to best teach them sight words. We've all met the beginning reader struggling with their fluency. They stop at nearly every word trying to put their early understanding of sounds to good use to decode the word. Decoding doesn't mean they isn't just sounding out words, it requires children to take apart the sounds (segmenting) in words then blend them back together. A child has to have a understanding of both single sounds and digraphs to have any hope of working out those words. Many words are just not spelled the way they sound making reading hard work at the beginning reducing a child's confidence and making comprehending what they are reading near impossible. 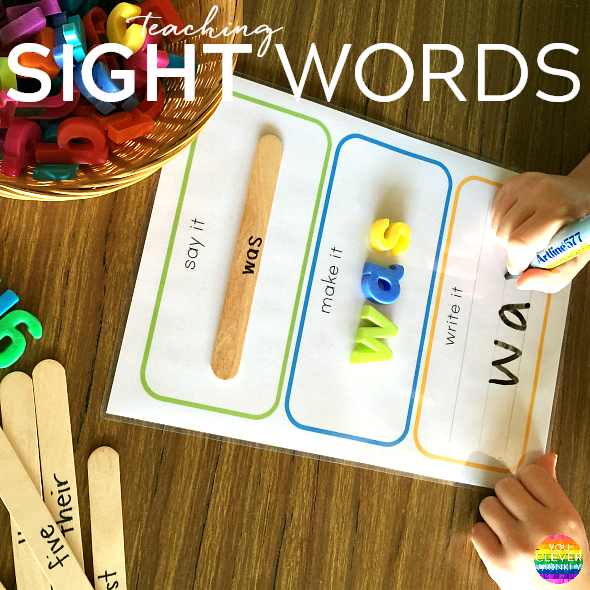 What are sight words and why are they important to reading and writing in the Early Years? Sight or high frequency words are those we see and use most often when reading or writing. They account for as much as 75% of all words used in the English language. 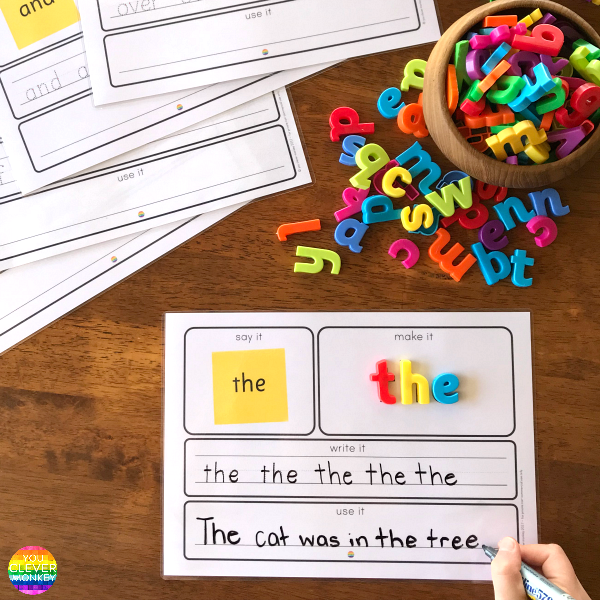 They are called sight words because ideally, children should be able to read them by 'sight' and not have to utilise any of their reading strategies like decoding or chunking to be able to read the word correctly. Many of sight words do not follow the basic phonics principles we teach making them difficult to decode by young children. Being able to automatically recognise sight words helps young children become faster and more fluent readers. There's no real magic to teaching sight words. Constant and repeated exposure to these words until they 'stick' is the best way to teach them. Many teachers will create a word wall in their classroom with these high frequency words. Somewhere students can see them often works best. I utilise the area under my whiteboard at the front of class, adding new words as we introduce them. Children are encouraged to take them from the word wall to use them in their writing as they need. Word walls can include both decodable and difficult to decode words. At my school, mini word lists are send home to practice reading nightly along with their school readers. Then it's just practice, practice, practice! The most effective activities tend to utilise a multisensory approach - ones that include an element of movement, sight or sound. 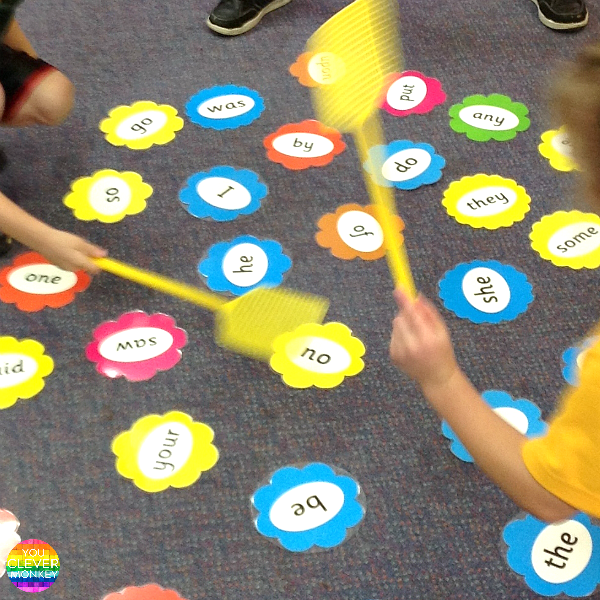 Literacy centres provide the perfect opportunity to practice sight words in different ways. 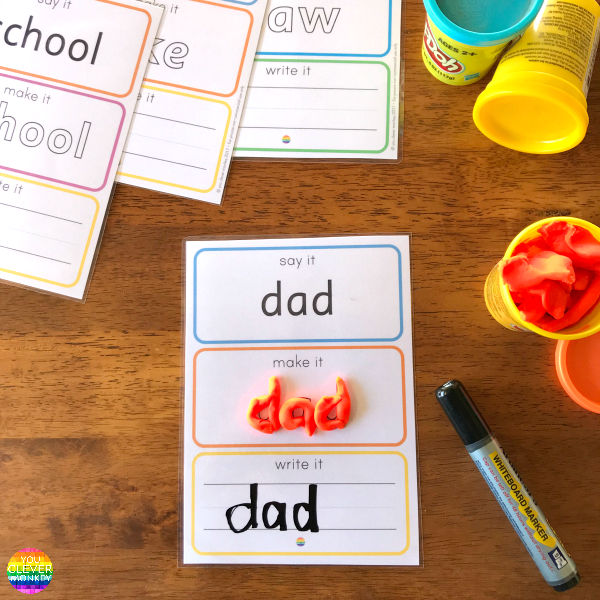 Reading then making the word from playdough, WixStix or pipecleaners is a fun way to engage school starters. 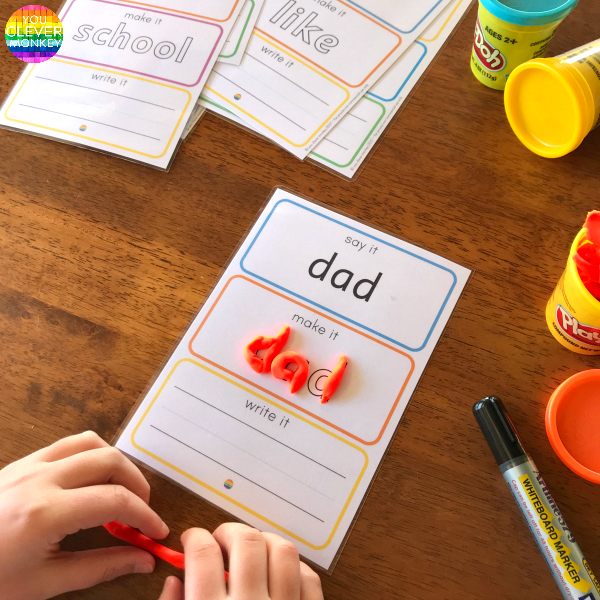 With slightly older children, we might switch to magnetic letters or stamps. 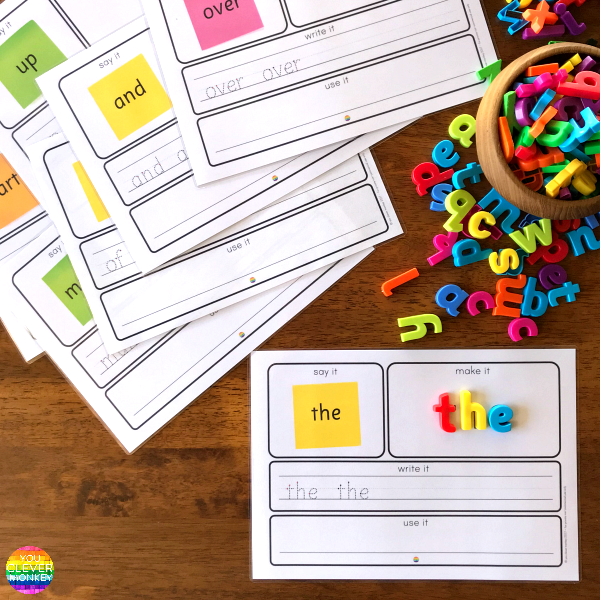 I created these sight word mats that allow them to use the word in a simple sentence as well because sight words help provide context in many texts. 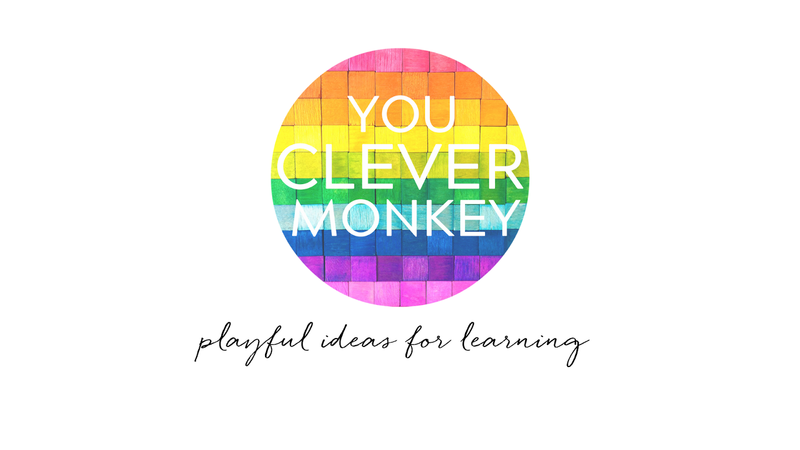 With four different colours for each group of 25 words, my students find it easy to differentiate the task to suit their individual reading levels. 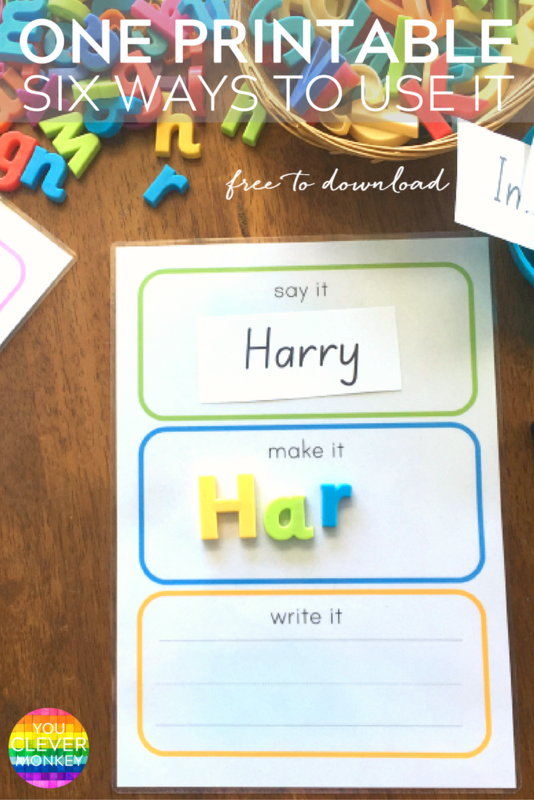 Any games you can create with sight words is going to be a hit! My class love this game of Sight Word Splat. Or play pick up sticks, word BINGO, build them with alphabet beads. Write them with chalk outside then call them out and spray them with water. Learning to recognise some words by sight does not and should not take the place of a intentionally taught synthetic phonics program but we do know that learning to read successfully involves both decoding and learning high frequency words at sight. First 100 Oxford Word List words broken into five groups of 20 words each making differentiation easier. Formatted to A4 page, 2 mats per page. Daily 5 Word Word in the Early Years. First 100 Oxford Word List words broken into four groups of 25 words each with different coloured post-it notes featured. Formatted to fit one mat per A4 page. 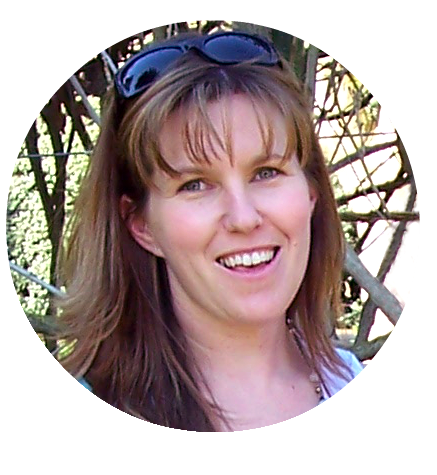 Ideal for beginner readers and writers. first 100 high frequency words divided up into different colours along with covers. 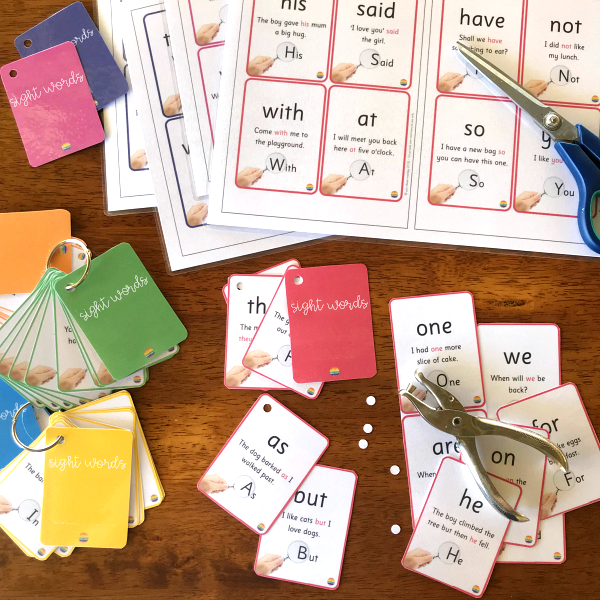 These cards make practicing sight words fun again! Or grab our FREE Say It Make It Write Mat!